No wise man will go to live in the country, unless he has something to do which can be better done in the country. For instance, if he is to shut himself up for a year to study science, it is better to look out to the fields, than to an opposite wall. 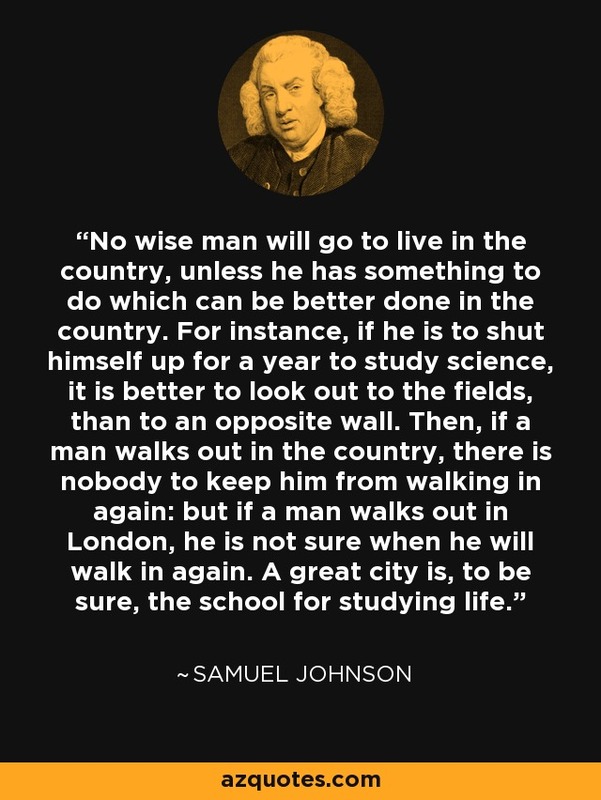 Then, if a man walks out in the country, there is nobody to keep him from walking in again: but if a man walks out in London, he is not sure when he will walk in again. A great city is, to be sure, the school for studying life.